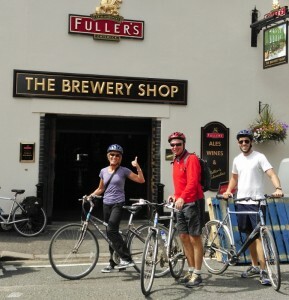 Our bike tours enjoy beautiful areas in South West London Zones 3-5 30-45 minutes from Central London by train or tube. Cycle safe, quiet River Thames routes, enjoy Royal Parks, Hampton Court Palace, Windsor Castle, beer tastings, visit Kew Botanic Gardens, + enjoy tea picnics on full day tours. Group Bike Tours (March-November)-Monday, Wednesday, Thursday + Saturdays, or request alternate date or private tour. 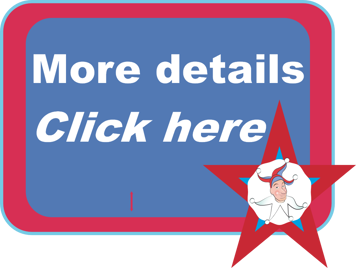 *Richmond Train Station-Zone 4 20-40 mins from Central London, full travel advice given. 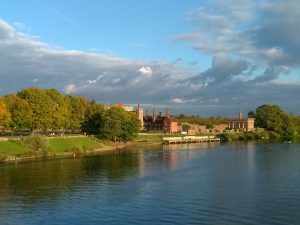 Cycle the beautiful River Thames route to Hampton Court Palace before your visit or cycle the 2nd London Royal Park too! 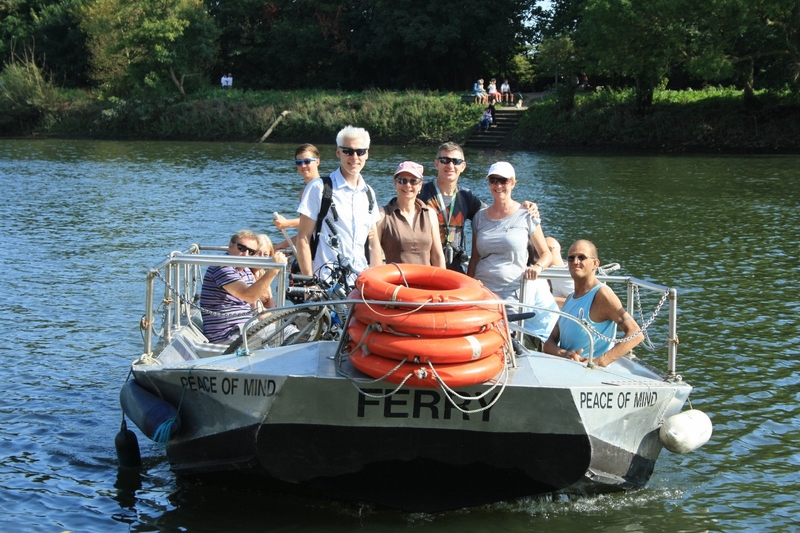 Enjoy our afternoon River Thames ride from Hampton Court Palace to Richmond Upon Thames. 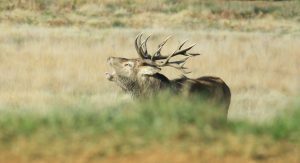 See deer roaming freely in the largest Royal Park of London and old hunting ground of kings! OR Bespoke *Windsor Great Park Tour. 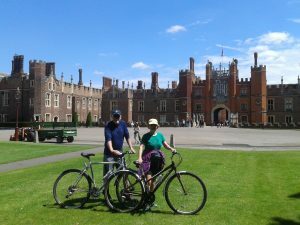 We had one of the most fun and memorable days on our Merry peddler bike tour of Hampton court! We’ve done other family bike tours in the past and enjoyed them but none of them went above and beyond like Ginette did, the whole excursion was a real treat! We will absolutely do it again on our next London trip! 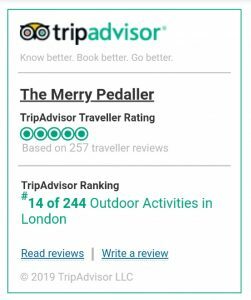 Thanks Jill so glad you all enjoyed your day with Merry Pedaller Bike Tours! We had a fabulous ride with MerryPeddlers. It was safe, fun and informative. They led our large group of 36 through Richmond and Richmond Park-beautiful sites and very educational as well. Highest ranking possible. Thanks so much! Sorry I only just found this comment! So glad you enjoyed your ride with your students, I hope we see you and some students from your school again one day.